The New Civil Code (NCC) will necessitate amendments to the accounting legislation – both to the Accounting Act and to the related implementing regulations and Czech Accounting Standards. What effect will these changes have on you? 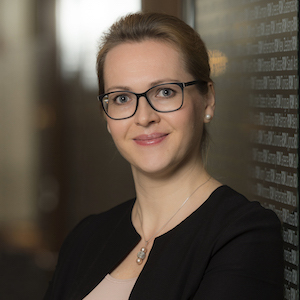 The amendments to the accounting laws assume some changes in terminology that will need to be reflected in the decrees related to the Accounting Act and Czech Accounting Standards. The most frequently used term “liability” is replaced in the NCC by an equivalent term “debt”. One of the fundamental changes brought by the NCC in respect of the Accounting Act is the principle on which a structure becomes part of land, including machinery and equipment attached to the walls of the building (Section 506 of the NCC). This change not only applies to buildings constructed after 1 January 2014 but also to structures existing before 1 January 2014, provided that the structure belongs to the owner of the land (Section 3054 of the NCC). As a result, a structure will no longer be a separate item of real property from 2014 and will not be entered separately in the Land Register. The question is what impact this new definition of land will have on the accounting and tax depreciation of immovables starting next year. The amendment to the Income Taxes Act that is to take effect on 1 January 2014 keeps the current definition of fixed assets for the purposes of tax deprecation, which means that buildings, houses and units not including land will be depreciated for tax purposes. What we as accountants would particularly want to know is how the definition of an immovable is dealt with in the accounting legislation. Unfortunately, the answer to this question is not yet known. The amendment to the relevant implementing regulation to the Accounting Act was not part of the package of amendments presented to the Parliament’s Chamber of Deputies in connection with the recodification of private law. However, based on the information regarding the amendment to tax laws, we can assume at this moment that accounting depreciation will not change next year. We will inform you about the developments in this area in one of our future newsletters.